Power 2 Present! | Take The Mic, Speak Up & Present YOU! This is the page for our free preview. Want the whole Power 2 Present course? Click here! Want to get your product, expertise or message to more people? Would you like to do it in the most effective and personal manner possible while getting the maximum returns? are interested in making more money, effectively sharing your message with more people, or connecting more people to your ideas, products or services, then I’m here to support you – big time! I will show you clearly and concisely how to change the way you grow your business, improve the results you get and dramatically boost your confidence and professionalism by speaking up and unlocking your Power 2 Present! then Power 2 Present is for you! 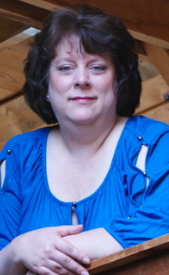 My name is Terri Hase and I have been speaking, teaching, training and coaching in one fashion or another for over 20 years. I’ve honed my skills through countless hours of study and through over 500 presentations, and now I want to take the VERY BEST of what I’ve learned and pass it on to you in my newest program: Power 2 Present! I’m inviting you to join me for an all value, totally free, sneak preview call that will really help you take your presentations to the next level: How to Master the 5 Things You Need to ROCK Your Presentation! I’m so passionate about the opportunities waiting for you when you take the mic, and I’m so convinced in the power of your voice to help you realize your wildest dreams that I can’t wait to share it with you! In fact, I want you to unlock your Power 2 Present right now! You’ll also be connected to the cool freebies below in seconds! PLUS, you’ll get the post call audio to add to your success library for your future listening pleasure and ongoing learning, anytime that suits you! Continue reading about our FREE PREVIEW, or Click Here to check out the entire Power 2 Present Course! Bust Your Communication Road Blocks – Get out of your own way and connect! (easy audio download) All the tips and techniques in the world won’t help you if you’ve got deep, underlying communication road blocks. It’s likely that you aren’t even aware that these blocks are undermining your presentations, costing you credibility, shaking your certainty and compromising your results! In this informative training I’ll call out some of the biggest, and give you step by step support in busting them forever. YOU Power Newsletter – Insights direct to your Inbox! Stay on top of the conversation with ongoing tips, trends, tech innovations and more! Enjoy case studies, commentary, interviews and TOP SECRET Power 2 Present Bonuses and Alerts. I know your ‘inbox’ gets a lot of traffic, but I’m confident that you’ll look forward to seeing this arrive! Of course you can easily cancel if you’re not thrilled with the value. BUT WAIT – if you’re not totally clear or sure that presentations are right for you in the first place, I’m including 2 ADDITIONAL BONUSES to help you decide if ‘speaking up’ is for you! 5 Not So Obvious Reasons You Should Be Presenting RIGHT NOW! 7 Ways To Use Your Power 2 Present To Succeed In Business And BEYOND! 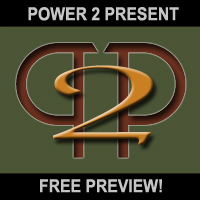 Reserve your seat at the Power 2 Present preview call, enjoy your COOL FREEBIES, the two Added Bonuses, and begin to unlock your Power 2 Present! All Value No Fluff No Pitch-Fest No Kidding! The current preview call has just concluded - But you can still receive an audio of the call, absolutely FREE! Sign up NOW to get access to the Preview Call Home Page, giving you the call, as well as your two COOL FREEBIES, two added BONUSES and the YOU Power newsletter! Don't stop now! Check out the whole Power 2 Present course!